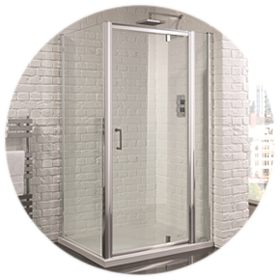 3 Sided Shower Enclosures - a selection of different sized 3 sided shower enclosures with pivot, bifold and sliding shower doors, 2 side panels and 3 sided fixing brackets for stability. 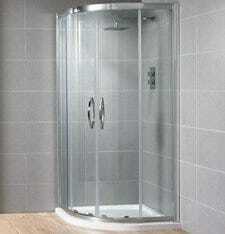 Frameless Shower Enclosures are available in sizes from 800mm to 1600mm x 900mm. We have a selection of brands including Aquadart and Coram. 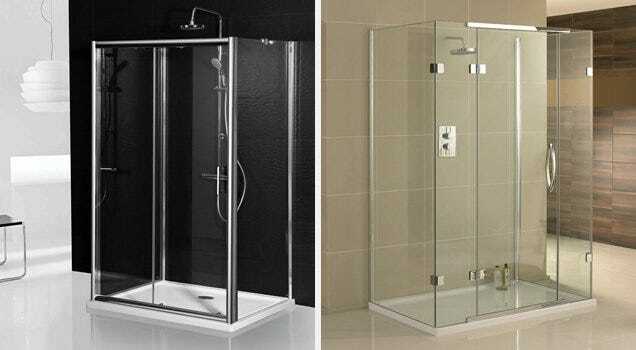 Corner Entry Shower Enclosures are available in 760mm, 800mm, 900mm and 1000mm. We have a selection of brands including Aquadart and Coram. 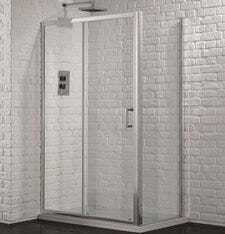 Shower Side Panels are available in 700mm, 760mm, 800mm, 900mm and 1000mm to suit a selection of pivot, bifold and sliding doors. When used in combination they form a 2 sided enclosure. Shower Door Wheels including uniwheel shower wheels which can replace most shower door wheels. Pentagon Shower Enclosures in 900mm from Coram.